Kwadwo is a Chartered Insurance Practitioner (ACII) of the Chartered Insurance Institute, UK. He graduated from Beloit College, U.S.A. with a BSc. Mathematics and Physics. He later earned a Distinction in MSc. Finance from Cass Business School, City University London, UK. He has also passed all three exams of the Chartered Financial Analyst Program. 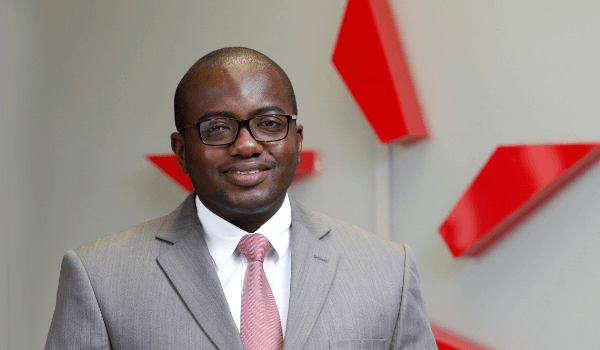 Kwadwo is currently a Finance Manager at uniBank Ghana Limited and has over a short period acquired enhanced banking knowledge and experience with particular focus in Finance & Strategy, Treasury Management, Credit Risk, International Trade Finance, Information Technology, Audit & Compliance, Operations and Retail & SME. Prior to joining uniBank, Kwadwo worked with Star Assurance where he started his insurance career.